Our friends over at Disco Donnie Presents never disappoints with this breaking news of Something very spooky this Halloween. #FreakyDeakyTexas 2018 at Sam Houston Racetrack initial lineup is now LIVE and we have a special incentive for our subscribers. Use ambassador code 'VIBESNOTBRIBES' to unlock express entry ambassador tickets with complimentary "Express Entry"
Join us for two days, October 27-28, of spine-tingling performances from DJ Snake, Excision, Kaskade, and Porter Robinson (DJ Set) at the haunted Sam Houston Race Park. More artists to be announced! Houston is full of talented local artists and musicians. 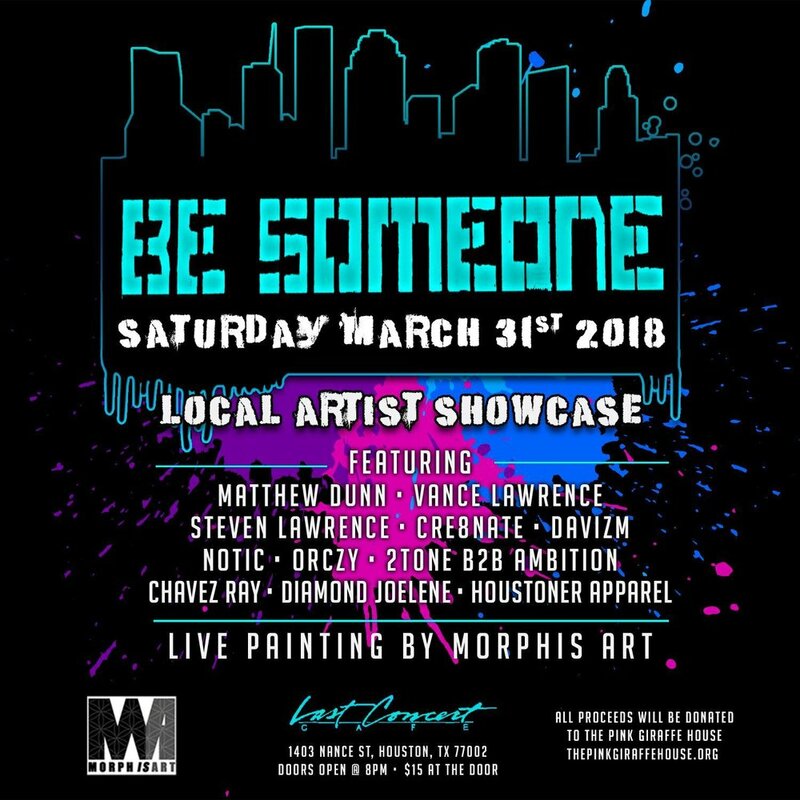 The "Be Someone" event is a local artist fundraiser aimed at bringing great talent together for a great cause. Live painting will be performed by the super talented Morphis Art. ALL flow arts welcome - LED encouraged! In a new collaboration, The Crew, Soul Bass Project, and Austin’s Interspace Events are coming together to bring something different to Houston! Hailing from Germany, Marten Hørger makes his debut in Space City on Friday September 1st at The Secret Group! Marten has been defined by his very own sound that’s somewhere between Bass House, HipHop, Trap, Electro and Breaks and has made Punks Music, the independent bass music record label owned by the Stanton Warriors, his home. If you love heavy bass or broken beats you won’t want to miss this event!